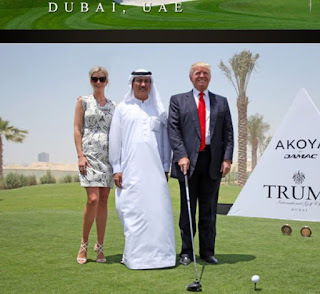 Tobapos -- The UAE has urged President Donald Trump’s United States to develop a stronger strategy on the Middle East, after a “disconcerting vacuum” seen during Obama years. “Following eight years of weakened American engagement in the region, which many feel has created a disconcerting vacuum, it looks like we will have to wait a little longer until the contours of President-elect Trump’s approach to the region become clearer,” Gargash told the Third Abu Dhabi Strategic Debate in the UAE capital, as reported by arabnews.com. He said that the stability of the Middle East “cannot rest on American engagement alone,” with the likes of Russia, China, India and the EU also having a role to play. “But solving regional problems also requires an active role for the UN. This means that the international community has to reverse the failures of recent years, by providing a more activist and effective role,” Gargash said, according to the UAE state news agency WAM.